For more than 100 years, visionaries have been dreaming of a day when the world's religions could work together for peace, even as the United Nations is trying to working to realize that vision among the world's religions. "That day is coming — soon!" writes William E. Swing. He and others in the United Religions Initiative (URI) have already held consultations with numerous religious and spiritual leaders during global summits, regional conferences, and interviews. URI has been reaching across the planet to gather insights and support from people, young and old, of every faith.The group's formal launch was the signing of its charter on June 26, 2000. Since then, over 150 cooperation circles have been formed in 60 countries on five continents, involving "hundreds of thousands of people" says Swing. Interest in URI's work, he adds, has profoundly accelerated since September 11. Why a "United Religions" now? On the threshold of the first global civilization, we face crises in which people of all faiths play significant roles, for good or ill. Nations have been working for peace through the UN for more than 50 years, but religions do not yet have daily, global forums for dialogue, conflict resolution, and cooperative action. With the new millennium come rising expectations of a new spiritual paradigm, beyond the clash of beliefs, where believers respect the differences as well as the wisdom in other faiths. An emerging "global ethic," initiated at the 1993 Parliament of the World's Religions, invites the consensus of religious and spiritual traditions, but it also needs a permanent forum for its expression. Our home is heaven where God is. On earth we learn how to discover home, and each faith leads its adherents homeward. We must learn here how to live together with those with whom we will spend eternity. How can we arrogantly claim that ours is the only way, and not learn to remove our shoes as we stand on what others consider to be holy ground, where they catch their glimpse of the Eternal, the Inscrutable, the Holy, the Compassionate, the Gracious One? May the Initiative described in this book succeed for the sake of all believers. 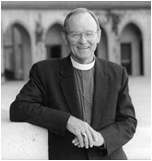 William E. Swing, Episcopal Bishop of California, has been a primary catalyst for the creation of a United Religions since 1993. Part One of this book is the story of his vision, travels, and consultations with religious and spiritual leaders. Rev. Swing's inspiring message serves as an open and hopeful introduction to the movement for the general reader. Part Two, reflecting the work of many others, includes drafts of the United Religions Charter, proposals for its unique organizational design, action agendas, and opportunities for reader feedback and participation.